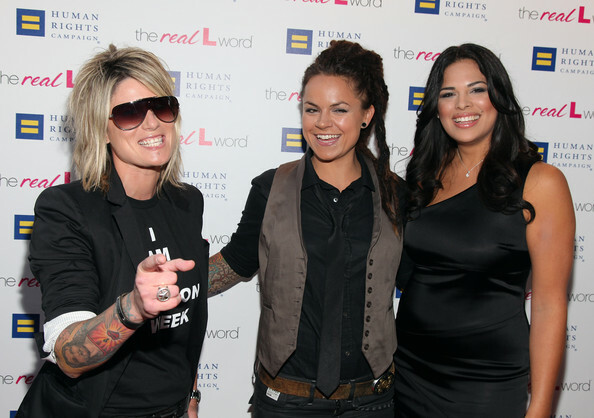 TV personalities Mikey Koffman, Whitney Mixter and Rose Garcia attend the premiere of Showtime 'The Real L Word' hosted by Showtime and The Human Rights Campaign at East/West Lounge on June 15, 2010 in West Hollywood, California. Whitney shows girls can rock ties, too! Here she dons a loosely worn skinny black tie.